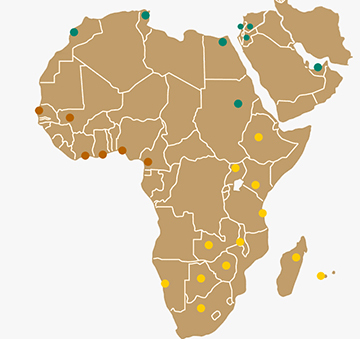 CropLife Africa Middle East A.I.S.B.L. is a non-for-profit industry organization representing the leading global manufacturers of pesticides, seeds and biotechnology products in Africa and the Middle East. The regional association was registered in Brussels in November 2002 and represents today more than 20 national associations across its region. The association is legally fully independent but maintains a strong link with the global CropLife network (www.croplife.org). Together with the national associations CropLife Africa Middle East is the voice and advocate for the Plant Science Industry. We are committed to sustainable agricultural practices and to the responsible use of plant science technologies in the region. We promote the understanding of the benefits of modern plant science solutions. We are convinced that these products and solutions developed and distributed by our member companies are indispensable to control weeds. We promote that the professional and responsible use of these products improves the incomes and livelihoods of farmers and their families and has the potential to contribute decisively to the growth of rural and national economies.